Robust, safe and extremely durable. For transporters and vans. 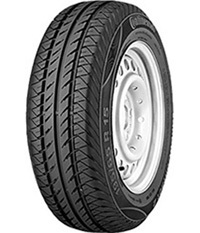 A solid tyre shoulder provides vehicle-oriented handling. Thanks to a mechanism similar to a windscreen wiper, the Vanco™ 2 offers optimal grip on the road surface in wet conditions. The tyre disperses water from the contact area for outstanding aquaplaning protection.